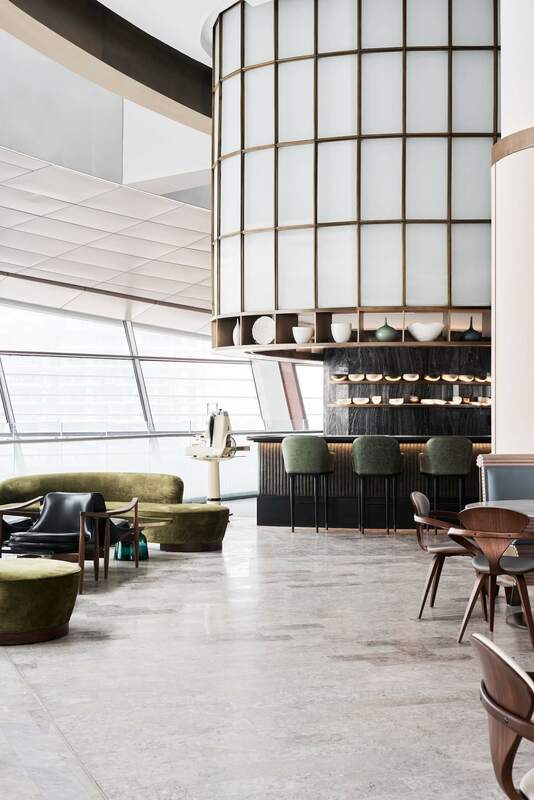 If ever there was an unconventional yet utterly flawless pairing of styles, it would be the coming together of 20th century classicism and the oceanic influences of the Antipodes at Sean Connolly at Dubai Opera. 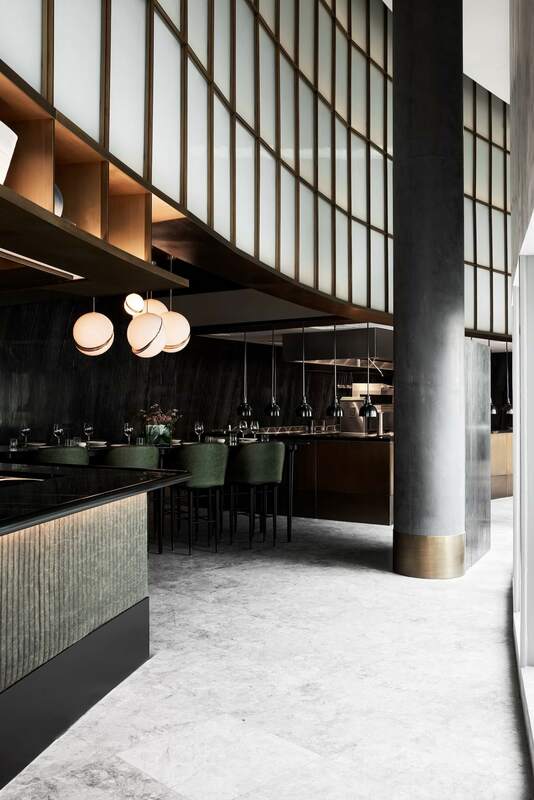 This new 350-person restaurant and bar is the talk of the town, not just for the sumptuous food served up the legendary chef but also for its path-breaking yet elegant design. 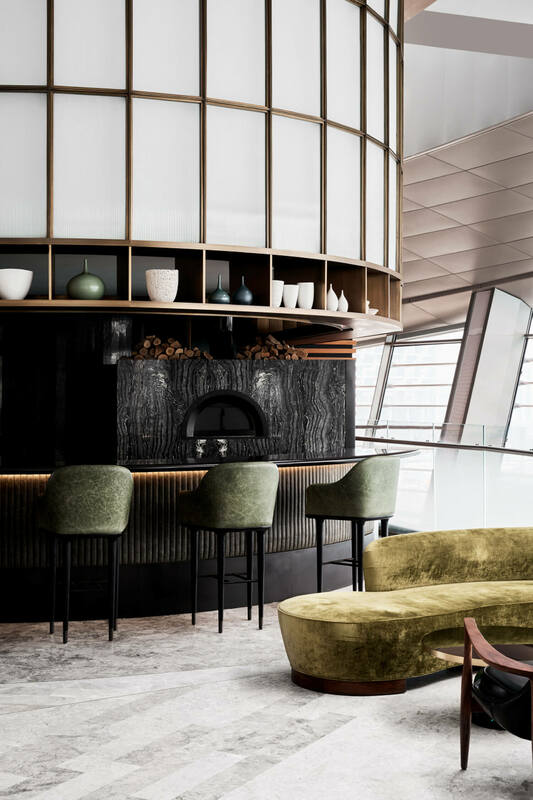 Where else can you find giant Merino Wool artwork shaped like the tentacles of sea creatures that blends in effortlessly with the rest of this exclusive address? 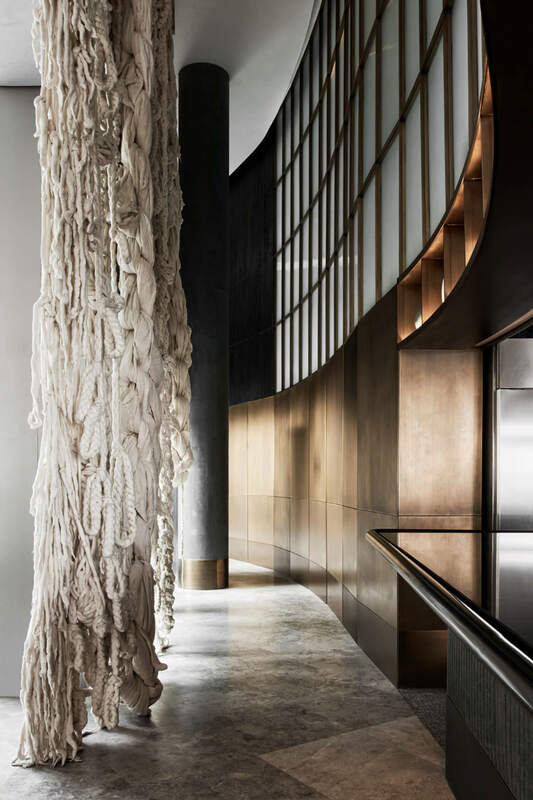 For the interior design team at Alexander & Co, there’s more where that Jacqui Fink knit installation came from. 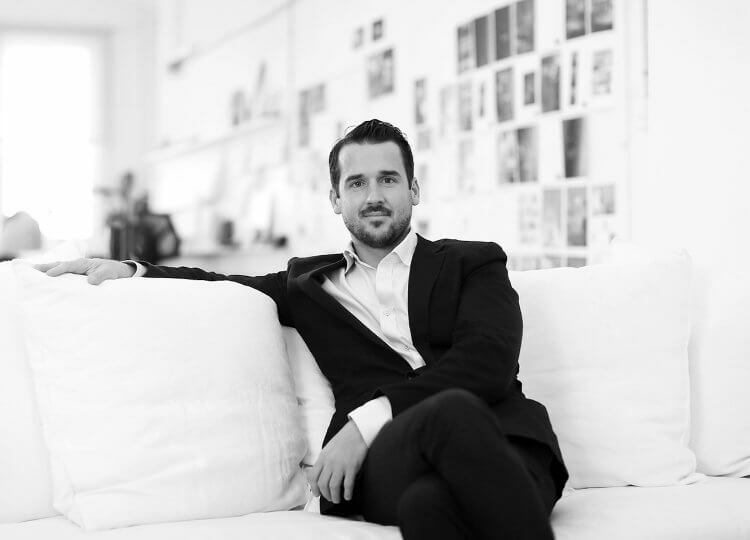 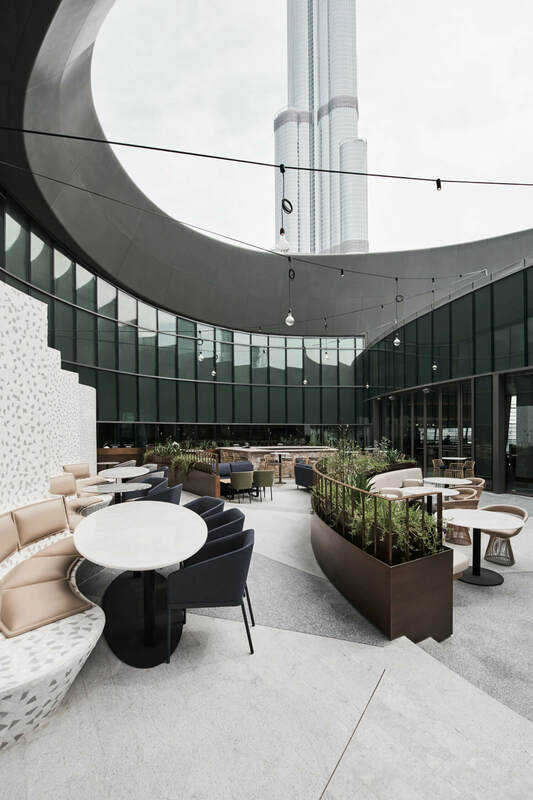 Known for their work on Sydney’s iconic Watson’s Bay Boutique Hotel and Iluka House (one of our most popular features), Alexander & Co collaborated with Tribe Studio on Sean Connolly at Dubai Opera, which was a match made in (design) heaven from the get-go. 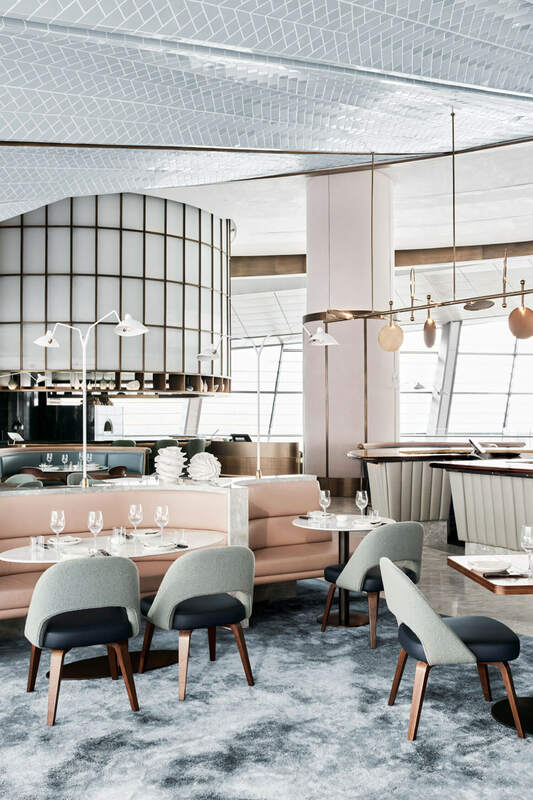 Design elements at the restaurant and bar primarily drew inspiration from two sources: Connolly’s seafood menu and the irregular shape of the Dubai Opera. 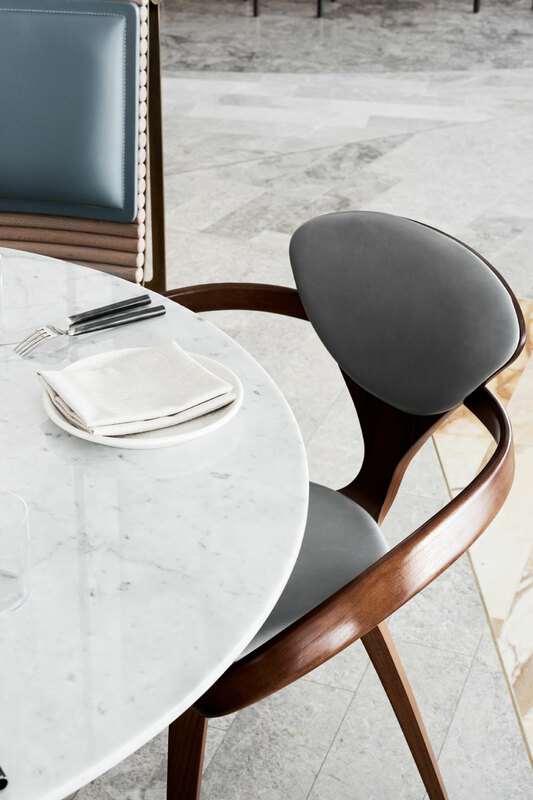 From the coral hues of the settees and the pearlescent tones of the flooring to the blackened seashell likeness of the bar counters, the teams behind Sean Connolly at Dubai Opera left no oyster unturned to evoke the sea, both in furnishings and food. 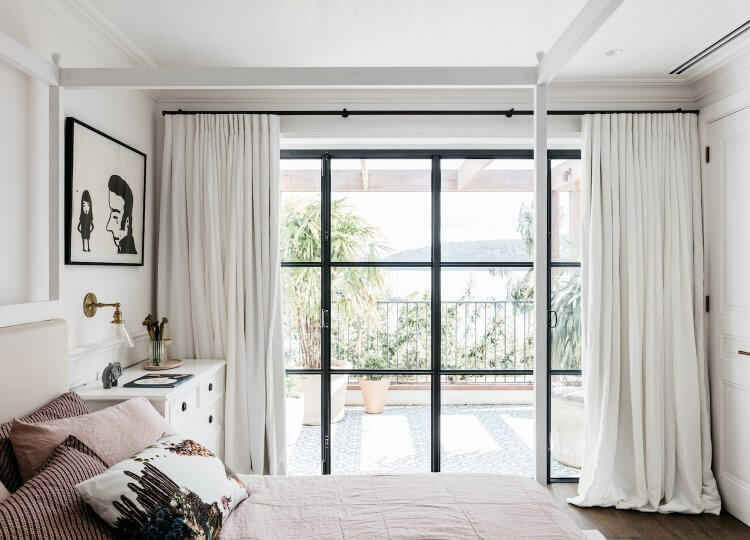 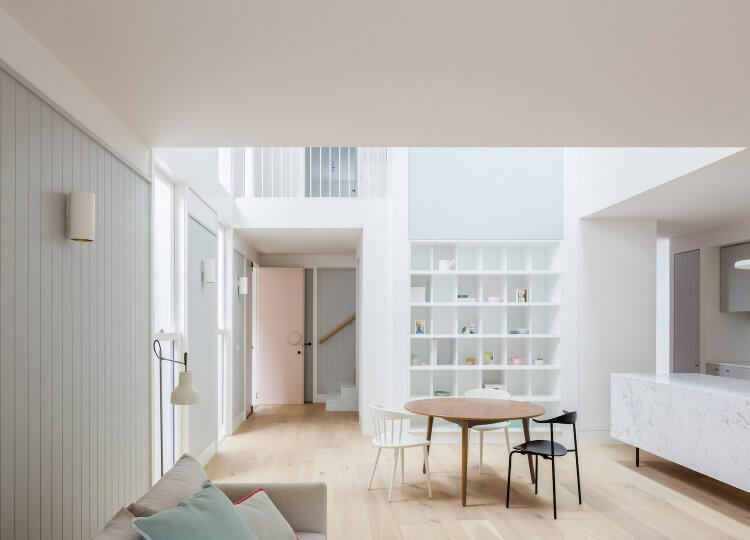 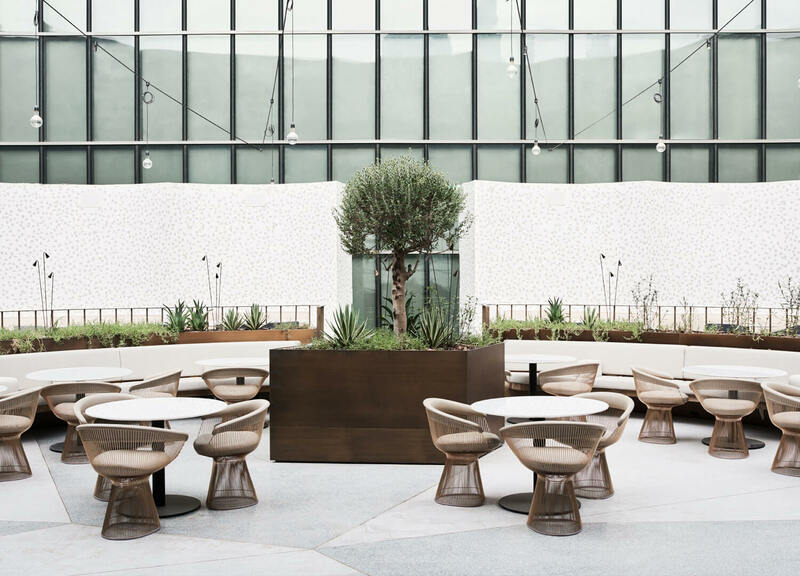 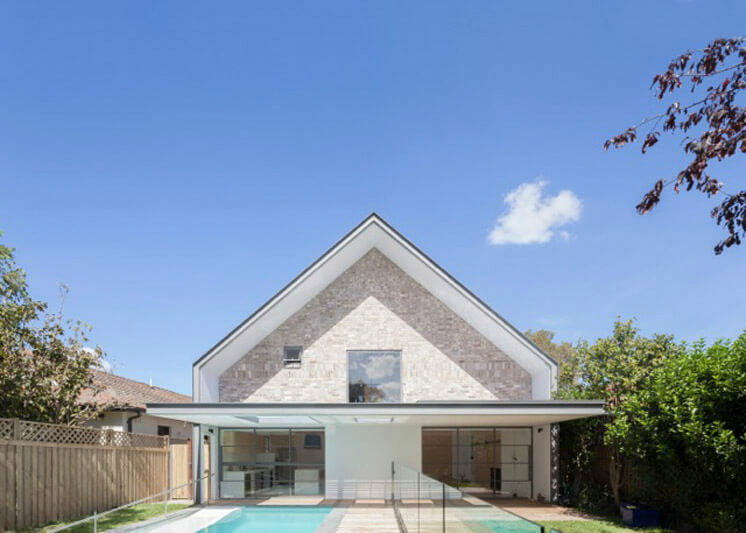 Additionally, the building’s asymmetry sparked a 20th century revival, noted in the custom Serge Mouille lighting and cult mid-century accents like walnut round tables, brass finishes and rose gold wired chairs. 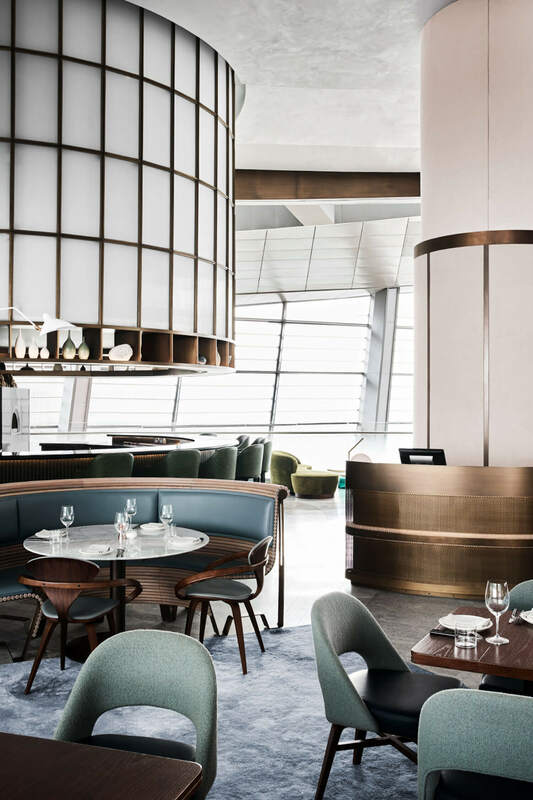 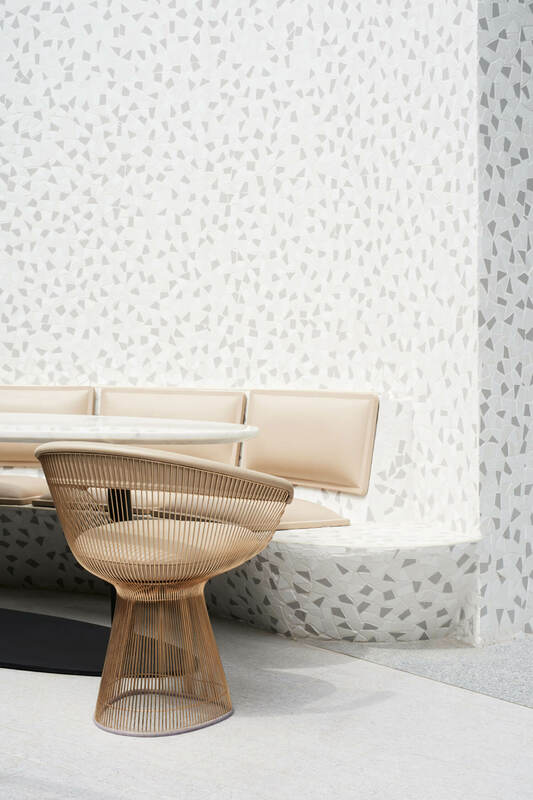 “We were inspired significantly by the sculptural forms of Saarinen’s TWA airport and the tiled shells of our own Sydney Opera, also traditional Persian vaulting and tiled ceilings, along with a host of our most coveted 20th century chairs and light fittings,” expressed Jeremy Bull of Alexander & Co, further highlighting the restaurant’s unique blend of styles. 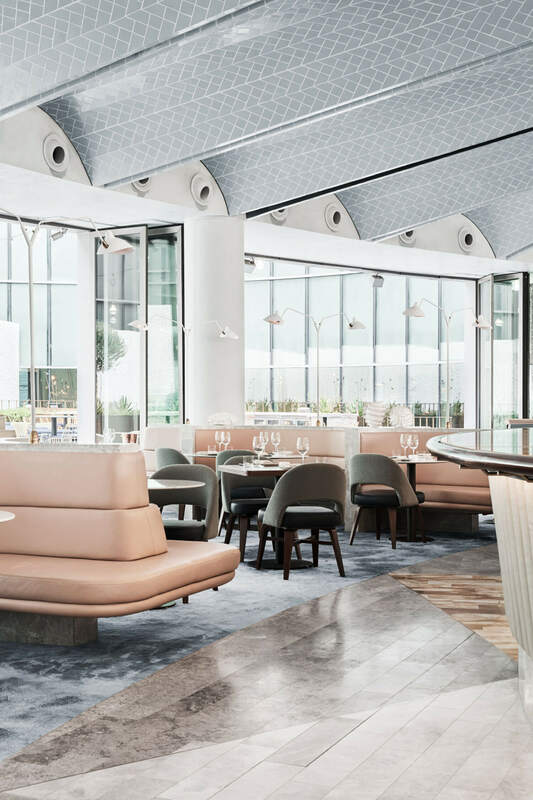 With an emphasis on comfort and class spread across the four bars, brasserie, dining areas, private dining and chefs table, the recently opened Sean Connelly at Dubai Opera is bound to elevate this Emirati city to the top of the design charts. 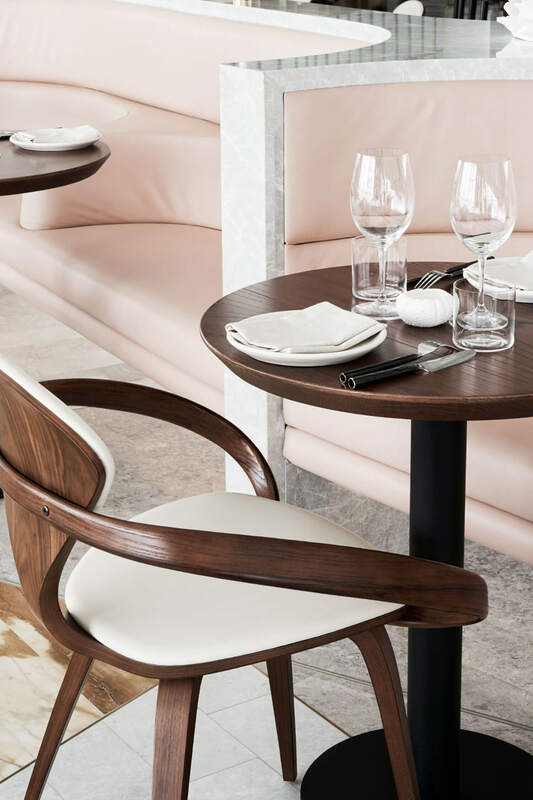 “The restaurant is a strange dreamlike combination of something which feels both like a familiar bistro and an entirely foreign ocean sea bed.” – Jeremy Bull of Alexander & Co.